It Adopts latest innovation in non-surgical, non-invasive laser lipolysis. It\\\\\\\\\\\\\\\'s laser emits low levels of laser energy, which creates a chemical signal in the fat cells, breaking down the stored triglycerides into free fatty acids, glycerol and water molecules, the same natural response initiated by the body anytime it needs to use its stored energy reserves. These free fatty acids are then transported throughout the body by the lymphatic system to supply the body with energy, again just as if the body would respond in times of caloric scarcity. A period of exercise post treatment ensures the complete metabolism of these freed fatty acids, shrinking the fat cells and delivering the body shaping results your patients are looking for.It is a non-destructive, targeted fat reduction technology, which means excess fat deposits can be treated anywhere on the body and the fat cells are not destroyed as a result of treatment. It targeted fat reduction and circumferential reduction has many advantages over other body shaping technologies. Here are just a few! 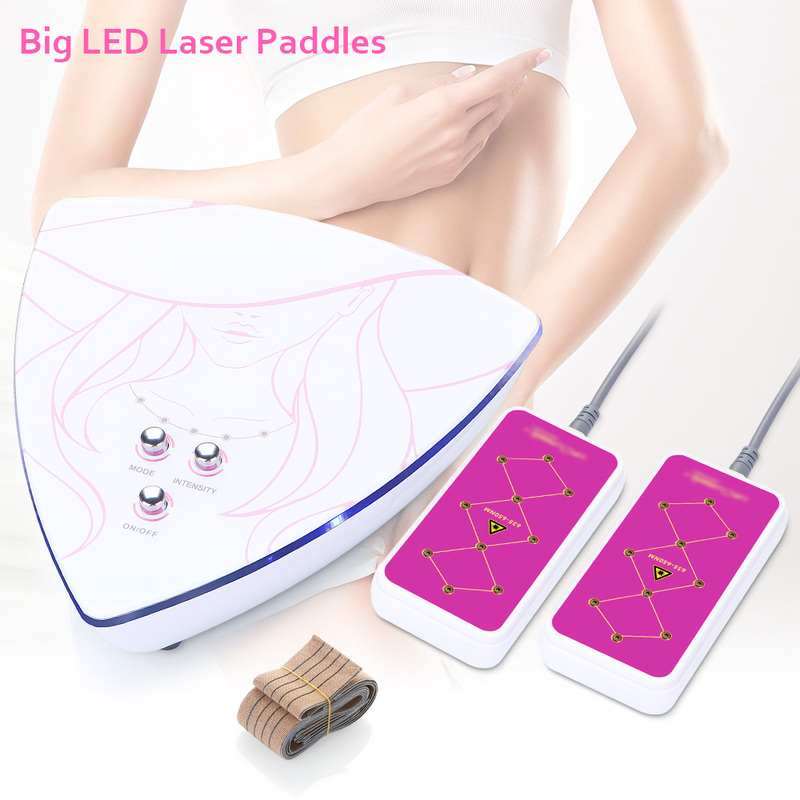 This is the 635&650nm Laser 5mw Slimming Cellulite Removal Machine 2 Big LED Laser Panels.It is a non-destructive, targeted fat reduction technology, which means excess fat deposits can be treated anywhere on the body and the fat cells are not destroyed as a result of treatment. It targeted fat reduction and circumferential reduction has many advantages over other body shaping technologies. Here are just a few!Treat All Body Parts such as neck, back, knees, hips, thighs, bottom and arms.